Unbalance Analysis These UPM calculations are used to quantify the fiscal cost of energy loss caused by power quality issues. The calculations are computed, along with other facility-specific information by an Energy Loss Calculator that ultimately determines how much money a facility loses due to wasted energy. Logging function allows you to customize measurement selections and provides instantaneous analysis of user-selectable parameters. Measure and record power (W), VA and VARs, PF and energy consumption. 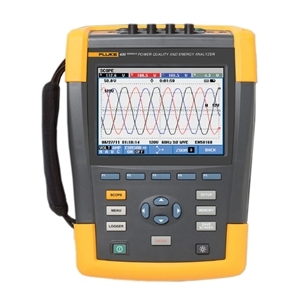 Track harmonics up to the 50th, and measure and record THD in accordance with IEC61000-4-7 requirements.